Presented at EICMA 2017 when the bike was first launched, this exhaust has been uniquely designed to match the Kawasaki Ninja H2 SX’s lines. 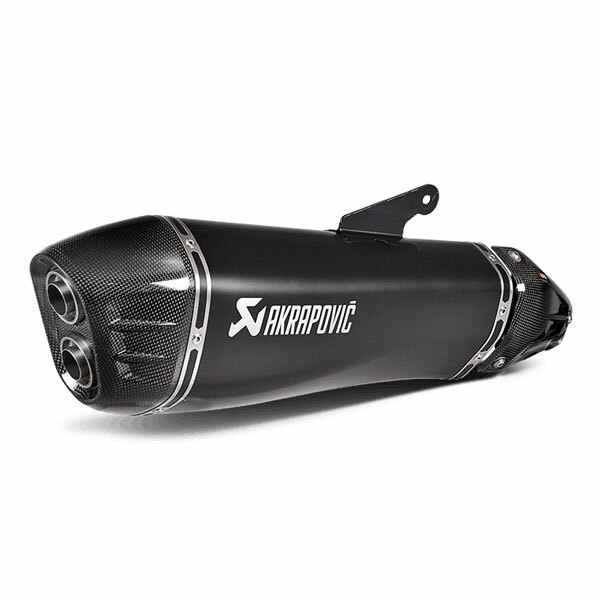 With relief imprints on the handmade carbon-fibre end cap and heatshield, the Slip-On Line follows the bike’s shape seamlessly. It is constructed from high-grade stainless steel with a lightweight titanium outer sleeve for the muffler, which is then coated in black for a more sporty and eye-catching look. Weight savings are in excess of 33% over stock system. The sound of the exhaust has been perfectly tuned to give a deeper and full motorcycle tone from the supercharged engine. Power increases at the top of the rev range. It is easy to fit, and EC- and ECE-compliant with no need for remapping. It is compatible with the Kawasaki’s side cases.